Yon koudèy sou foto kap domine aktyalite a atravè mond la. 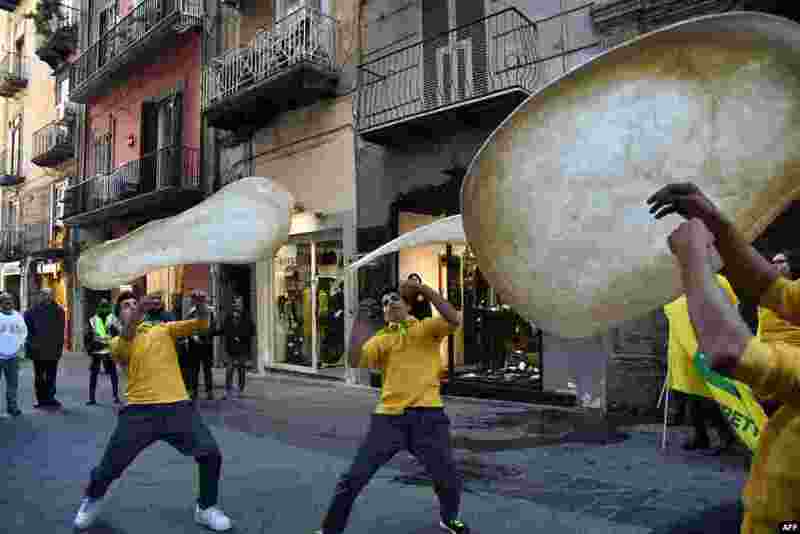 1 Members of the Pizzaioli Acrobats Coldiretti perform "twirling" pizza to celebrate the Unesco decision to make the art of Neapolitan "Pizzaiuolo" an "intangible heritage" in Naples. 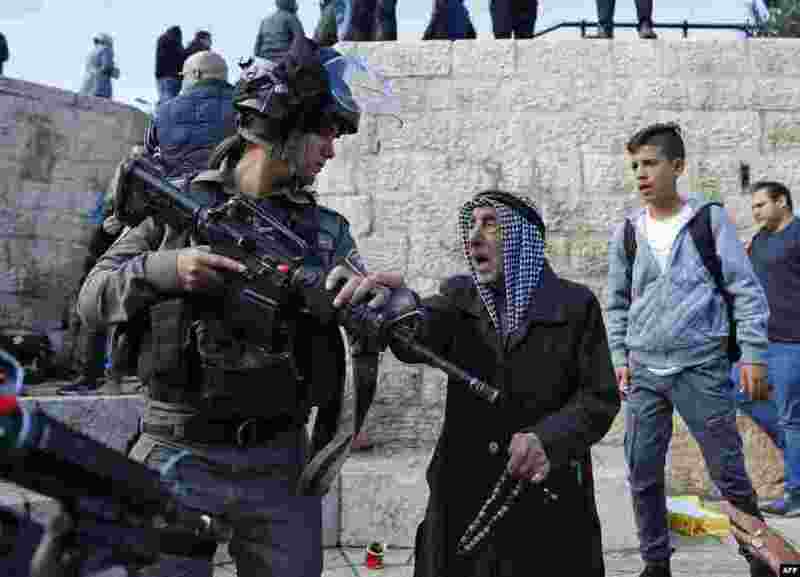 2 Israeli forces disperse Palestinian protestors outside Damascus Gate in Jerusalem's Old City. 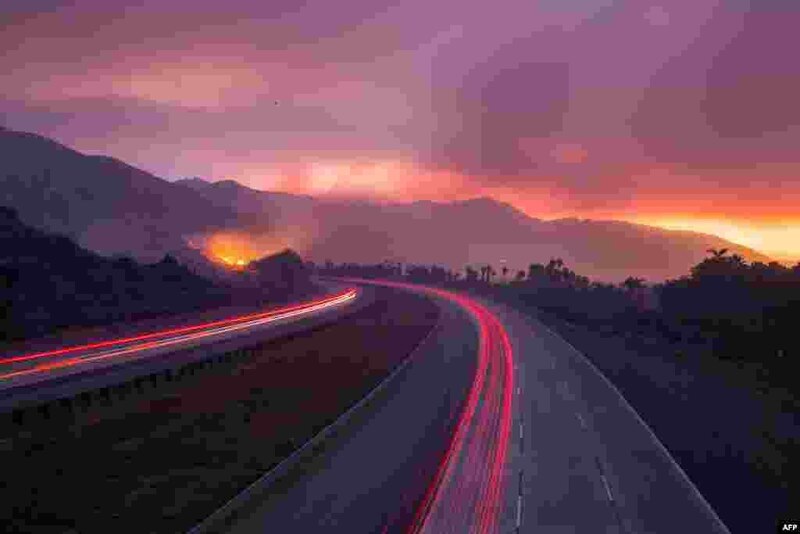 3 The 101 Highway was closed after the Thomas Fire jumped the road towards the Pacific Coast Highway in Ventura, California. 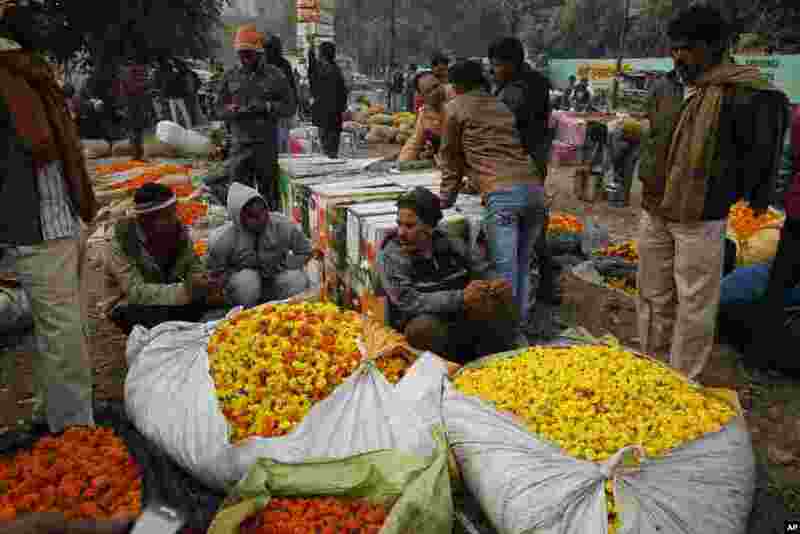 4 Vendors sell Marigold flowers at a wholesale flower market in Lucknow, Uttar Pradesh, India.